In this article, we will discuss factors that are worth reviewing before deciding on an electric motor. Voltage: Will you have access to a wall outlet or do you need a product that can be run on batteries? If a wall outlet is available, is the voltage standard (115 volts) or industrial (230+ volts)? 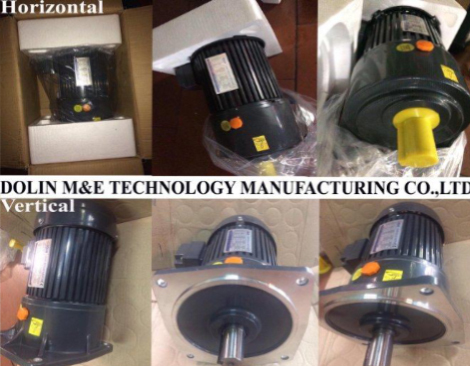 Frequency: Motors run at 60Hz for products operating within the United States, but if your product will be used outside of the US, you may need to consider a 50Hz or 50-60Hz option. Speed: Is there a set speed or speed range at which you need the motor to operate? If exact or adjustable speeds are important, you may need to add a control to the motor. Torque: How much starting torque will your application need? Will gravity be an obstacle that needs to be considered? Does the torque requirement of the motor vary throughout the motor’s period of operation? What is the “worst case scenario” amount of torque your application would require? Power: Is the amount of power you think your application needs equal to the power it is actually using? When providing specifications, know if you are using running power or maximum power. Duty cycle: It is important to know your motor's duty cycle.Will your application be running continuously (long enough for the motor to reach its full operating temperature) or in short bursts with time for the motor to completely cool down in between cycles? Motors that run intermittently can often use a smaller motor than applications with the same speed and torque, but running continuously. Watch our video for more about the importance of duty cycles when selecting a motor. Life Cycle: How long of a lifespan does your product need? Applications that run very intermittently can often get by with the shorter life cycle and higher maintenance requirements of DC and Universal motors. Applications that run continuously and that need to operate for thousands of hours without performing maintenance may require an AC or DC motor that has a much longer lifespan. Enclosure Rating & Environment: What kind of environmental factors will the motor be exposed to? Do you need increased protection from water or dust? Does the application have special requirements—such as stainless steel in the food industry—or need preventative measures taken against corrosive materials? Check out the full IP ratings chart. 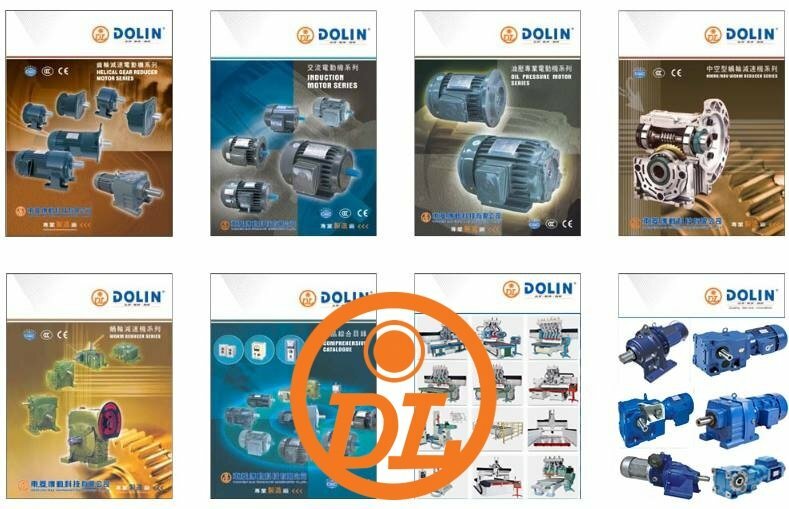 Frame Size & Configuration: Dolin offers 5 different gearbox styles. Is there limited space within the application that restricts what motor choices are available to you? Does the output shaft of the motor need to be positioned in a specific way to work with the product’s design—will an inline gearbox work or do you need a right angle configuration? Ambient Temperatures: Will your product be operating in extremely hot or cold temperatures? Knowing the potential climate range can help when determining which materials, such as lubricating with oil or grease, are important to the construction of the motor. Altitude: Will the motors be operating in locations at higher elevations? High altitudes (elevations of 5,000ft and higher) means thinner air, changing the expected performance of the motor. 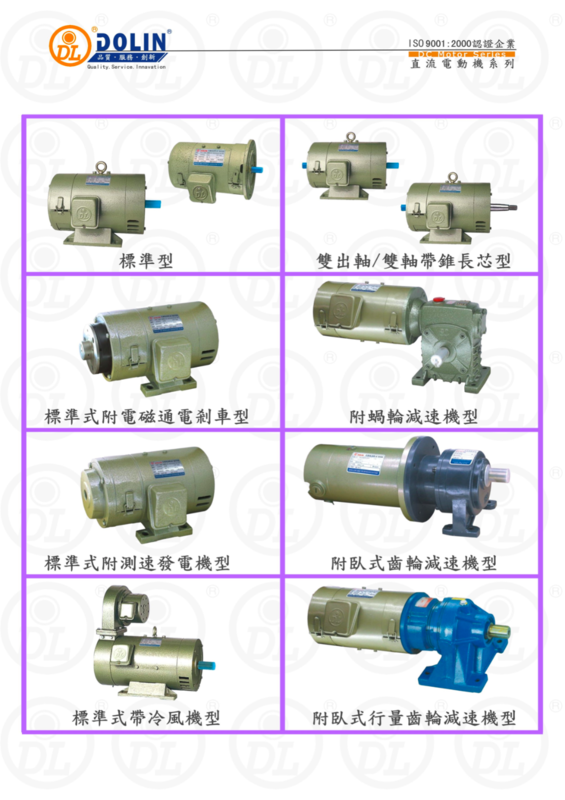 Noise: All motors make some noise due to the moving parts, but for some applications that are in public spaces or hospital settings, it is important to have a motor that operates as quietly as possible. 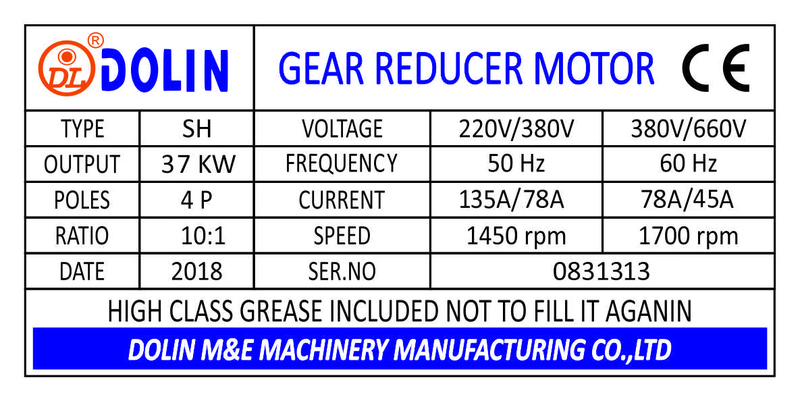 Additional noise reduction can be achieved through the reconfiguration of gears or adjustments in materials. Ventilation System: For applications requiring higher ingress protection, will the type of ventilation system you want or need be available? Non-vent motors provide more protection against the elements than fan-cooled motors, but they also take much longer for the motor to cool down after operation. Feedback Device: Do you need to understand how your motor is operating? Encoders and hall effect sensors collect data from the motor and can be combined with a control to allow motor speed and direction to be regulated. Control: Dolin sells AC and DC motor and control combo packages. Does your application handle fragile items and require a soft start or stop or do you want to be able to adjust speeds or regularly change the motor’s direction? Could your application run on more than one voltage? Motor controls can be used to adjust a motor’s specifications, but they also provide current overload and other safety protection. 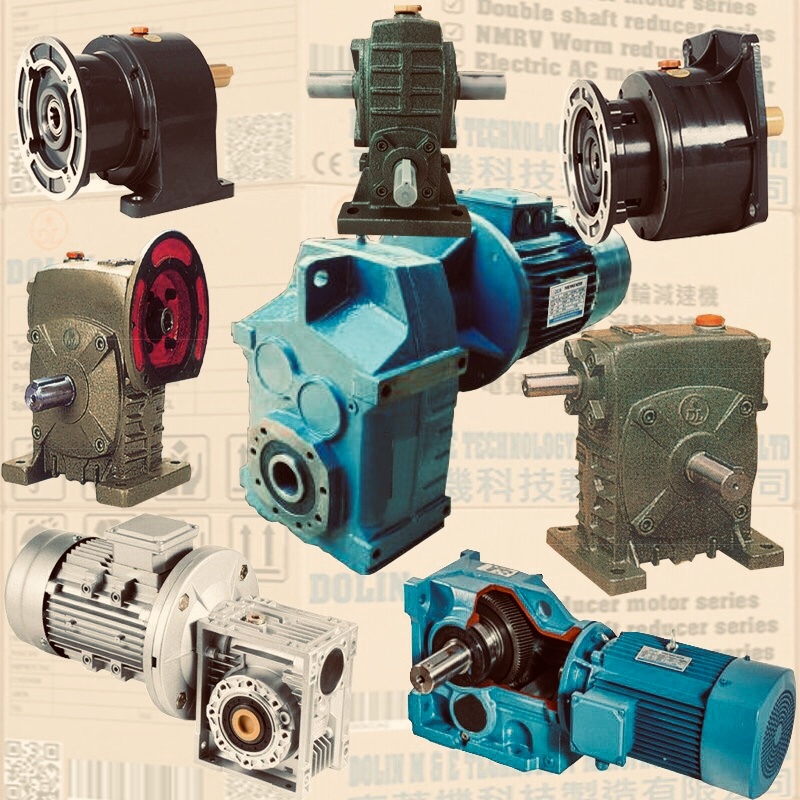 Operating Costs: Before investing in a motor for your application, compare the expected operating costs of each motor type based on motor efficiency, life expectancy, maintenance, initial costs, etc. You can download our free speed torque power and efficiency calculator to help determine motor operating costs. Efficiency: A motor’s efficiency will vary depending on many factors. Efficiency factors are more important for electric motors bigger than one horsepower because they make up the majority of energy consumption. 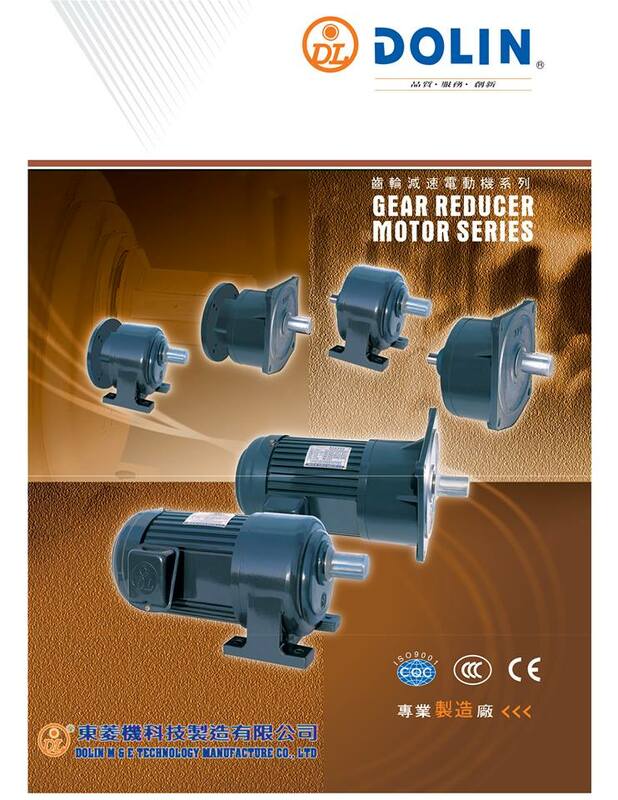 Fractional horsepower motors also tend to be more efficient than integral motors due to their construction and design. Maintenance: Before finalizing your motor decision, make sure it is a practical choice for the application. If you select a DC motor, will someone be able to access it regularly to replace brushes and perform other maintenance? Loads: Does your application deal with a range of loads or is the load consistent? Will the changes in load be gradual or sudden? If you are dealing with a range of loads, be sure to provide multiple load points when determining motor specifications. Back-drive: Dolin offers motors with a range of back-drive capabilities Is it essential for the motor in your application to remain in a locked position if power is cut? Do you need to be able to easily drive a motor without the use of power? For high-mass loads, back-drivability can be beneficial as it allows the load to coast to a stop and protects the gearbox if power is lost. Depending on the application, it might be necessary to add a brake to the motor unit. Depending on your application or specific motor needs, there may be additional factors to look at.